How to Resolve QuickBooks Error 15101 ? It goes without saying that technology is improvising day-by-day. The same applies to the field of accounting and business. There are many e-accounting solutions available in the market today but QuickBooks is probably one of the best software. There are many reasons for this – easy accessibility, an interesting user interface, regular update, and technical support. No software is entirely perfect. There will be some minor errors that come up sometimes, which can be easily resolved. In this article, we will discuss how to resolve QuickBooks update Error 15101. Error 15101 QuickBooks usually comes up while or after updating the payroll update. There are many reasons for this to happen. Here, we shall look into the appearance, reasons and resolving QuickBooks Error 15101. How does QuickBooks Payroll Update Error 15101 look? QuickBooks Error 15101 pops up when you try to update payroll or QuickBooks itself, there is an error box which prompts that QuickBooks cannot update. You are unable to perform any other function or even close QuickBooks window unless you close the message box. What Causes QuickBooks Update Error 15101? A Digital Signature Certificate is uninstalled. Digital Signature Certificate is needed to ensure the security of internet connection and your data. If that is corrupted or not properly installed, updating of QuickBooks becomes difficult. Internet settings are essential to ensure that there is no discrepancy while downloading payroll updates. Any problem in this leads to many errors in QuickBooks. exe is not running properly. QBWebconnector.exe is a program that helps to connect to Intuit website through a secure connection and updates are safely downloaded. If it is not running properly, it may cause this error. Also Read: How to troubleshoot QuickBooks Backup Error 2277 ? How to Resolve QuickBooks Update Error 15101? Resolving QuickBooks Update Error 15101 is easier than you think. Here are a few ways in which you can resolve the issue. Search for QBW32.exe in the Start Menu or go to the following location: C:\\Program Files\Intuit\QuickBooks. Right click on the program file and select Properties. Choose Intuit Inc. in the list. Select Details and in that window, select View Certificate. Here, Click on Install Certificate. Follow the on-screen steps to finish the installation and then restart QuickBooks to retry updating QuickBooks. Step 1: Go to Internet Explorer and select Tools. Click on Internet Options. Step 2: Select LAN Settings under the Connection Tab. Make sure you select Automatically Detect Settings. Also, leave the Proxy server blank (unless you’re using a proxy server), select SSL 2.0 or SSL 3.0 and uncheck the TLS 1.2 option. Step 1: Open Task Manager by pressing Ctrl+Shift+Esc of right click on the taskbar and click on Open Task Manager. Step 2: In the Processes tab, look for QBConnector.exe. Right click on it and select End Process. Another basic and most important tip – Make sure you have an active QuickBooks Subscription. You need to pay to enjoy QuickBooks features. 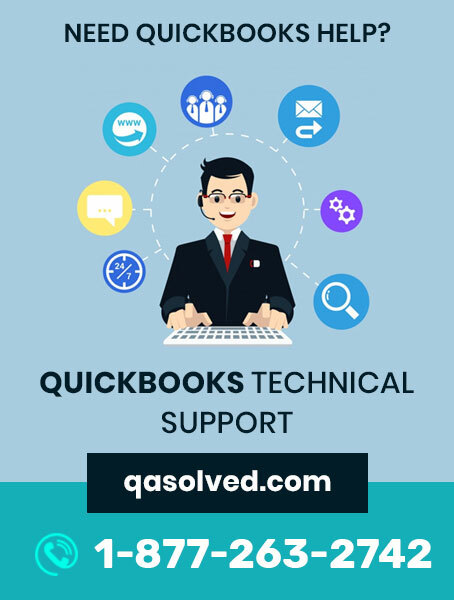 If none of the above solutions works, you are always advised to contact at QuickBooks Error tech support number 1-877-263-2742, professionals will always be available and willing to help you sort any system specific or any advanced diagnosis of the problem.